In the U.S.A., February is celebrated as Black History Month, and this year, we really have something to celebrate! 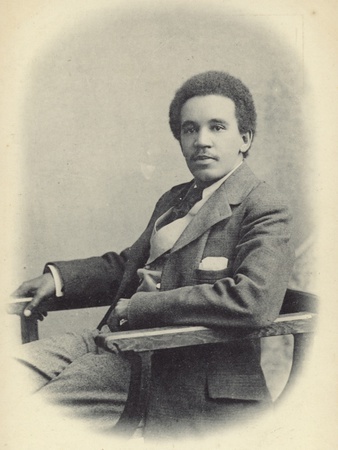 Samuel Coleridge-Taylor, an English-born composer (not to be confused with Samuel Taylor Coleridge, the eighteenth-century poet), wrote an opera titled Thelma that has been lost for a hundred years. The score has been found, and published, and this month the Surrey opera performed the long-lost opera on February 9th-11th. Coleridge-Taylor is known for his Song of Hiawatha, that has regularly been performed, and we can now look forward to other opera companies resurrecting this lost opera! Thelma is cast as a Norse legend, and as in most Romantic works, good triumphs over evil and everyone (except the bad guys) gets a happy ending. As researchers comb more libraries, as the world opens up, and as digitizing scores comes into its own, I hope that we can expect to find many, many more works thought lost or destroyed. Haydn compositions were found wrapping fish in a market; Mozart compositions were discovered in someone’s attic, and all of us music researchers should be on watch for any unknown manuscript. I hope that soon we will be celebrating the return of these lost works often!